(The above ways of match is only suitable for FLYSKY 2.4G products). Compatible with FS 2.4Ghz surface transmitter, very easy to use. The Standard FS-GR3E 2.4Ghz 3-Channel Receiver, For Rc Car Auto Boat Supplies. Features: Compatible with Flysky GT2, GT2B, GT3B, GT3C radio transmitter. Reliable, interference free 2.4GHz AFHDS signal operation. Quick and extremely stable in performance. Easy to bind and very fast link-up. Ultra light weight design. 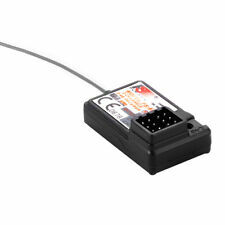 Specifications: Channels: 3 Channels Model type: car/boat RF receiver sensitivity: -105dbm Modulation: GFSK System type: AFHDS Sensitivity: 1024 Failsafe: yes (channel 2) Bind port: yes (channel 3) Power port: yes (VCC) Power: 4-11V DC ANT length: 26mm Size: 37.6 x 22.3 x 13mm/1.4" x 0.9" x 0.5" Package includes:. Used Spektrum AR8000 receiver. I will only post to UK mainland addresses and will not ship abroad. Sorry!! Due to the nature of the hobby I will not accept any returns. Good luck and happy bidding. 2.4Ghz 8CH AFHDS 2A Micro Receiver with PPM i-BUS SBUS Output. Virtually identical in size, weight & operation to the FlySky FS-A8S, is small and lightweight being only 20x14x5.3mm and 1.1g. How to bind FlySky FS-A8S receiver. 1 GoolRC TG3 Transmitter. Channels: 3CH. Suitable for 2.4G 3CH Transmitter. Built-in design of the antenna in the transmitter. Specifications of Transmitter It supports multi-device and multi-user simultaneously with fast response speed and strong anti-interference ability, very low power consumption and high receiving sensitivity. 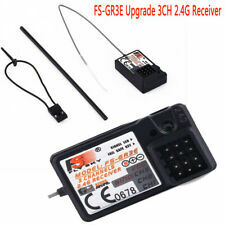 FlySky FS-GR3E 2.4Ghz 3ch RC Receiver. FOR USE WITH FLYSKY 3CH RC RADIO SYSTEMS (FS-GT3B, FS-GT3C Etc). 3 CHANNEL RECEIVER. (The above ways of match is only suitable for FLYSKY 2.4G products). 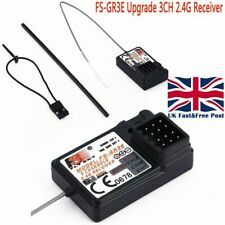 1 x FS-GR3E 2.4G 3CH Receiver. Compatible with FS 2.4Ghz surface transmitter, very easy to use. A. Install the battery to 2.4G transmitter and shut it down. Specifications: Brand Name: Flysky Model: FS-R6B RC Parts & Accs: Receiver Channels: 6 channels Model type: helicopter/airplane/Multicopter Frequency: 2.4GHz RF power: less than 20DBm Input: 5V DC(4 x 5V AAA not included) Sensitivity: 1024 Antenna length: 26mm/1.0" Modulation: GFSK Code type: PCM Charge port: yes Dimensions: about 45 x 23 x 13mm/1.8" x 0.9" x 0.5" (L x W x H) Package includes: 2 x FlySky FS-R6B 2.4Ghz 6CH Receiver Quality Perfect Brand Unbranded MPN Does not apply EAN 4894663132415. (The above ways of match is only suitable for FLYSKY 2.4G products). Compatible with FS 2.4Ghz Surface Transmitter, very easy to bind. A. Install the battery to 2.4G transmitter and shut it down. The Standard 2.4Ghz 3-Channel Receiver for RC car and boat. 2.4G 7CH Receiver With PPM Output for DSM2 DSMX RC REDCON CM703. 1X REDCON 8CH FT8R II Receiver. 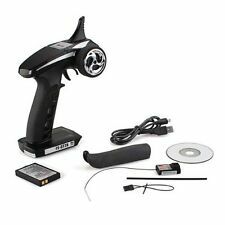 Helicopters S603 Receiver 7CH 2.4GHz PPM for JR SPECTRUM DSM-X DSM2 Transmitter. Waterproof Receiver Box Storage For Traxxas RC Boat Slash 4X4 RC habao 10SC HPI. Specification: Number of channels： 4 Fit: car, boat Data output : PPM/i-BUS/PWM Frequency range: 2.402-2.480GHz Transmitting power: <20dBm (EU) RF standard: AFHDS 3 Type of antenna: built-in Input power: 3.5V~8.4V Display: LED Online update: yes Size: 25.5*22*17.3mm Weight: 5.1g Safety certification: CE, FCC ID: N4ZFGRS4OO Packing includes: 1 pc Flysky FGR4S Brand Unbranded MPN Does Not Apply Type Receiver Frequency Band 2.402-2.480GHz EAN 0663250733304. (The above ways of match is only suitable for FLYSKY 2.4G products). Compatible with FS 2.4Ghz Surface Transmitter, very easy to bind. The Standard 2.4Ghz 3-Channel Receiver for RC car and boat. A. Install the battery to 2.4G transmitter and shut it down. Lipo balance lead with male connector. 1 Channel RC Receiver Operated Electronic On / Off Switch. Plug the single lead into one of your spare channels for switching lights, bomb dropping, smoke systems, canopy operation and other low current applications. Features:The system is specially developed for all the Radio control models, that offers super active and passive anti-jamming capabilities,It is in very low power consumption and high receiver sensitivity.It is so convenient to use.High technology and exquisite workmanship.Description:Channels: 3 ChannelsModel type: car/boatRF range: 2.40-2.48GHzBandwidth: 500HzBand: 160RF power: less than 20DB2.4G system: AFHDSCode type: GFSKSenditivity: 1024Low voltage warning: yes(less than 9V)DSC port: yes(3.5mm:output:PPM)ST range: 90TH range: 45(F:30;B:15)Charger port: yesPower: 12V DC(1.5AA*8) Brand Unbranded MPN Does Not Apply ISBN Does not apply Channels 3 Channels Model type car/boat RF range 2.40-2.48GHz Bandwidth 500Hz RF power . 1 Piece DSM2 Receiver Spektrum AR6100E. - Power Input: 3.5-9.6V. Modulation: DSM2. 1x DSM2 Compatible 3CH Surface Receiver. With the receiver off, insert the Bind plug into the Batt/Bind port in the receiver. Power the receiver. The amber LED will flash continuously, indicating the receiver is in Bind mode. (The above ways of match is only suitable for FLYSKY 2.4G products). 1 x FS-GR3E 2.4G 3CH Receiver. Compatible with FS 2.4Ghz surface transmitter, very easy to use. The Standard 2.4Ghz 3-Channel Receiver for RC car and boat. 1 Bind rope. Modulation: Digital Spread Modulation 2. Digital Spread Modulation 2 spread spectrum. 1 Digital Spread Modulation 2 Surface Receiver. Package included : 1x USB simulator (with switch, switchable) 1x Square adapter cable 1x Mini din adapter cable 1x Audio cable 1.5m (3.5mm jack to jack plug) 1 x Simulator software DVD Product Details Product Dimensions: 7.9 x 5.9 x 7.1 inches ; 5.3 ounces Shipping Weight: 10.6 ounces. Bulit-in 2A brushed ESC,supported external brushless ESC, no need to program. Compatible with DSM2/DSMX transmitter. Improve signal interruption problem when micro receiver using a conventional 1S brushless motor. 300MM LONG, 2MM INT., 3MM EXT. 1 Transmitter. LED on/off indicator shows the working condition. Type: RC Accessory. 1 Receiver. If you do not receive our reply within 48 hours, pls. If you are satisfied with our service, pls. 1, S603 supports JR and SPECTRUM DSM-X, DSM2 two modes, automatic search mode. Channels: 7CH. 1 S603 Receiver. 2, The PPM output is one PPM more than the AR6210 channel, so it is 7 channels. The insertion direction is different, and the PPM output supports multi-axis flight. 2-way output off -> A-way output open, B-way output off -> A-way output off, B-way output open -> 2-way output are open -> two-lamp breathing burst mode -> 2-way output off. cycle. -Can be plugged in "receiver to take power" lights (that is, can be directly inserted in the receiver on the kind of light). Product Model: AR8000. 1 AR8000 2.4GHz For DSMX 8 Channel Receiver. Modulation: For DSMX. The new receiver only needs to frequency one, and when the frequency is successful, the frequency line is removed when used. Usage: Suitable for FS-i6S self centering throttle transmitter,can change transmitter to mode 1 or mode 2. 1x Self Centering Throttle Mode Change Part. (The above ways of match is only suitable for FLYSKY 2.4G products). 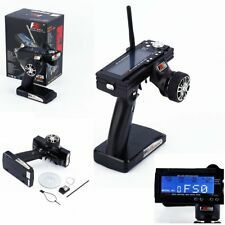 1 x FS-GT2 2.4G 3CH RECEIVER FOR RC CAR AND BOAT. Compatible with FS 2.4Ghz Surface Transmitter, very easy to bind. 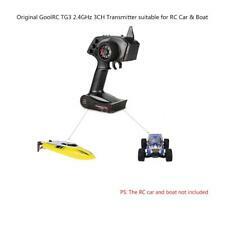 The Standard 2.4Ghz 3-Channel Receiver for RC car and boat. Electronic frequency: 40MHZ. 1 x 40mhz Transmitter Board. 1 x 40mhz Receiver Board. 2 x Antenna. We believe that everything could be solved by communication. Also note that monitor settings may vary from computer to computer and may distort actual colors. One latest version 6.0 generation 2.4Ghz main board of Henglong RC tanks. Cancel an order. Our mission is make sure that you can find exactly what you are looking for and make it easy for you to place your orders. 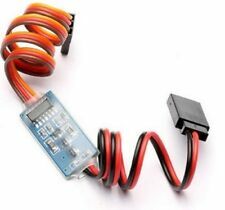 Hot Sale 3 Way Power Switch With JR Receiver Cord For RC Boat Car Flight Pip A!